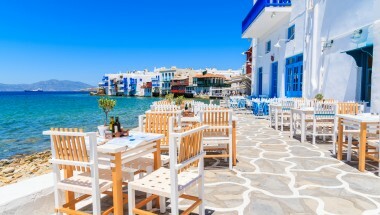 This recently built private property is located in Fanari area, in the north-west of the island, just 2.5 kms from Agios Stefanos beach, and 6 kms from Mykonos town. 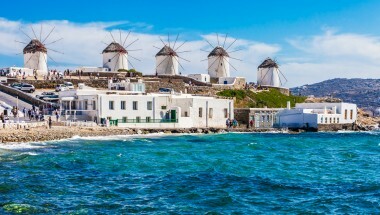 From its elevated position on a hillside, there are amazing views of the sunsets, the Aegean Sea and the town of Mykonos. The comfortable outdoor areas, including the pool terrace and other spaces on different levels, are all very well equipped with sunbeds and cushions for relaxing in or out of the sun. 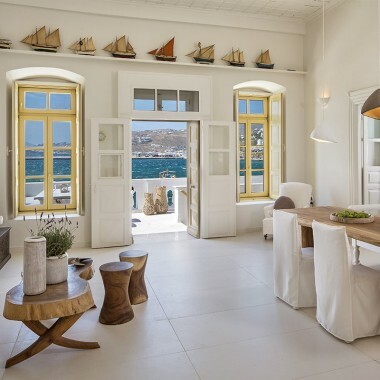 The accommodation is on three levels, and the interiors are decorated in a minimalist style, with a dominance of white and grey tones giving a refined and elegance ambience. All bedrooms are the same standard and style providing an optimal level of comfort to all guests. Amenities include air conditioning, satellite TV, music system and Wi-Fi internet. 1 Twin bedroom. 1 Bedroom with a single bed. 1 bathroom. Private infinity pool and spacious outdoor spaces for relaxing outdoors. 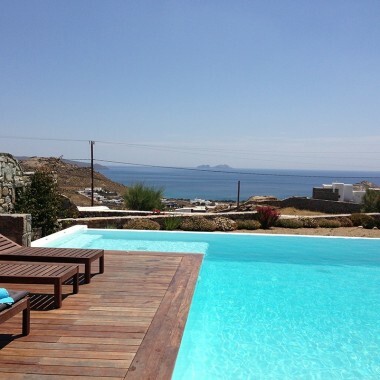 This recently built private rental villa with swimming pool is located in Fanari area, in the north-west of the island, just 2.5 kms from Agios Stefanos beach, and 6 kms from Mykonos town. Its privileged hill top position provides splendid sea and sunset views. Daily Cleaning. Change of linen twice a week.